Here at Cresta Dive Center we do all our training in proper conditions! So if you are doing any of the beginner courses it makes life a lot more comfortable. 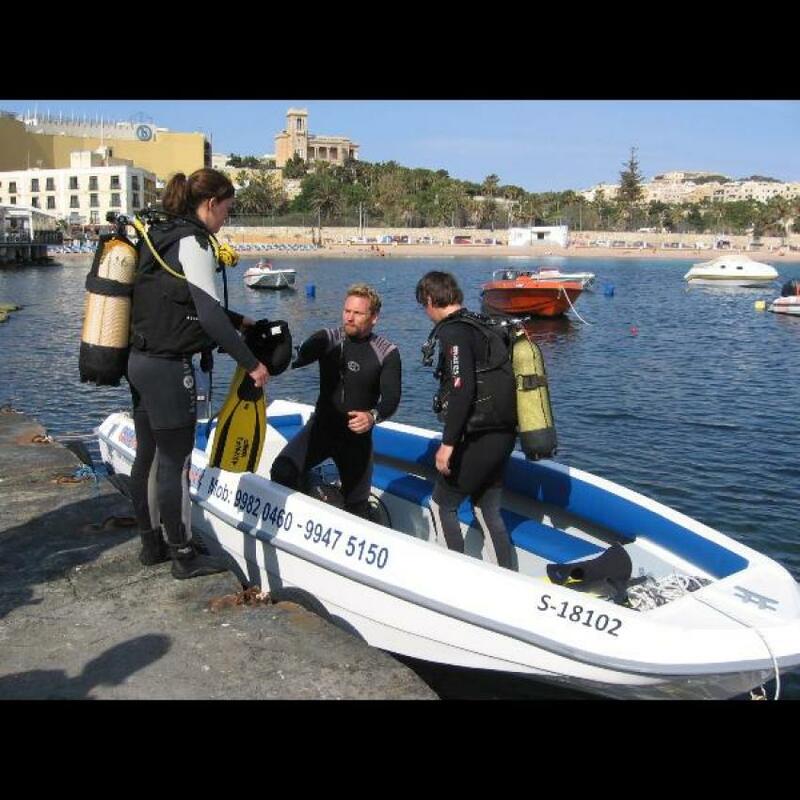 We also do three dives a day away from the dive shop, Blue Grotto, Marfa Point, Comino, Gozo and many more. We keep our groups small and our diving safe! We pride ourselves on running an organized dive centre, we are not motivated by money but by running the shop in a friendly and the most professional way. If you look for hidden costs and gimmicks there are none here! We will not sell you a course or piece of equipment we don’t ... read more t think you need just to bump up profits. We even give you free Wi Fi, tea, coffee, hot chocolate and a hot shower in winter! At Cresta we don’t spend half the day trying to get organized just to make a dive. A normal day at Cresta for certified divers is to arrive 8am at the shop to fill out paperwork and get dive kit together, 8.30am we drive off to the dive site to make 2 dives with an hour break in between for something to eat. 1.30pm you are back at the dive shop putting your kit away having a coffee filling out your log books. If you still want more there is also another 2pm dive that you are welcome to join in on and that will get you back to the shop by 5pm. Location Cresta Dive Centre is a boutique dive centre that keeps things organized, safe and personal. If you are a beginner we have great conditions to start diving in, crystal clear warm waters that provide you with shallow points for your Try Dive or PADI scuba diving courses. If you are an experienced diver Malta has an amazing selection of safe wrecks and caves at different depths allowing for all levels of divers to be able to enjoy. We keep all our diving simple, No large groups...Continue reading, No Tec Dives or Decompression dives done here. We use normal air and keep well within the safe dive times and depths. PADI Staff Instructor from Kent UK diving since 1992 who takes care of the day to day running of the centre, but loves to escape and dive whenever she can! Loves teaching all PADI courses too and furthuring divers education. PADI MSDT Instructor. Originally from Portsmouth he has been diving since a young lad for nearly 30 years. Since leaving the British Army and moving to Malta 4 years ago, he loves nothing more than introducing people to the underwater world. Read before you go No Hidden Costs. Money back guarantee that we find the wrecks. We are open 7 days a week all year round. 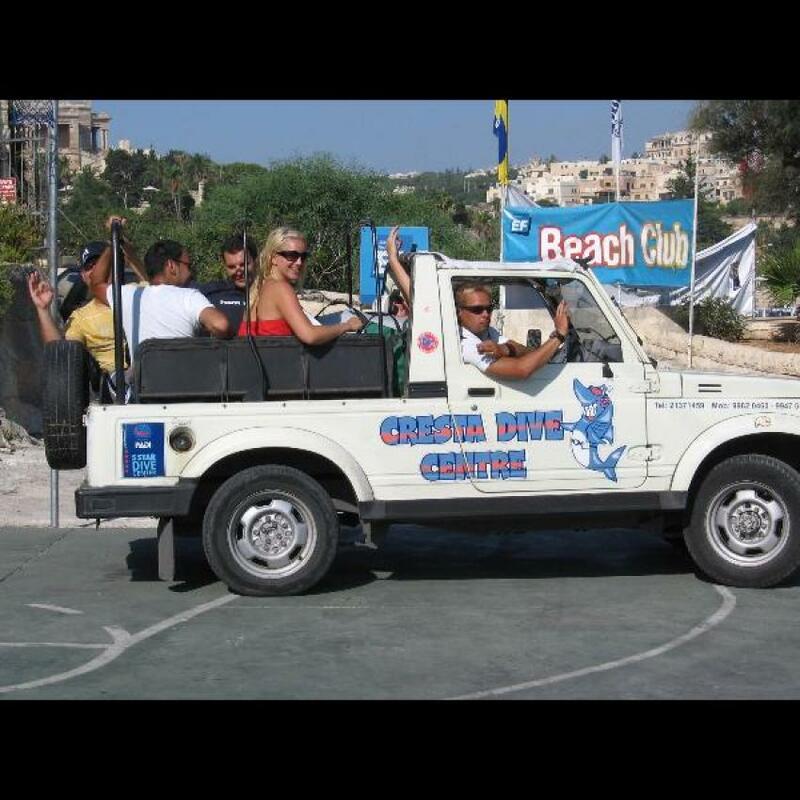 Free Pick up service from St Julians, Gzira and Sliema.